We fell in love with this wonderful brooch! Made of 18ct white gold it is designed as two swans sitting on a perch with their heads together. 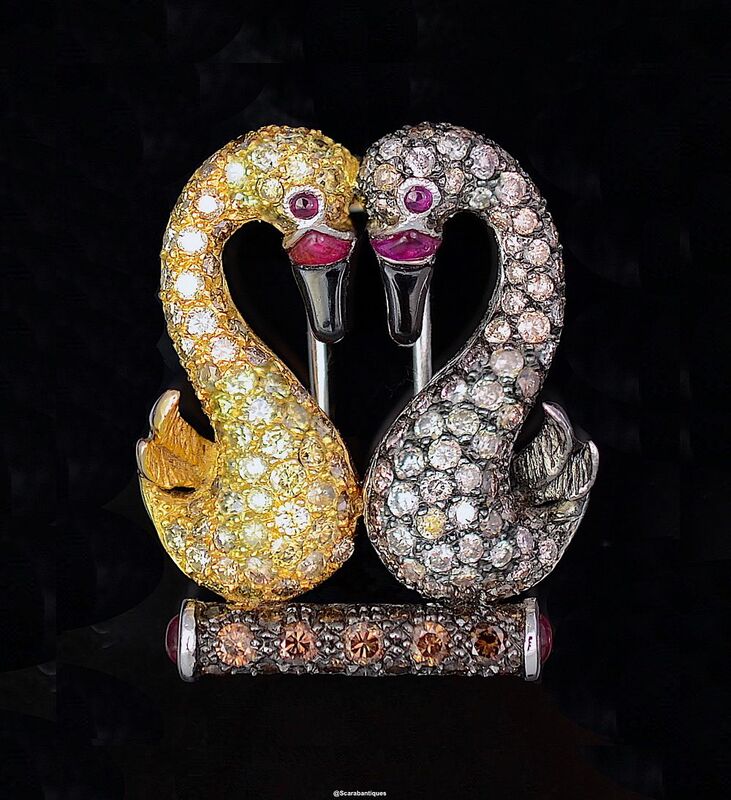 One swan is set with round diamonds in a mixture of colours ranging from light fancy yellow to off white all set in 18ct yellow gold that has been plated onto the 18ct white gold. The other swan has been black rhodium plated above the 18ct white gold and then set with round diamonds ranging in colour from cognac to TTLB. Both swans have black onyx, ruby beaks and ruby eyes. The perch is set with round dark fancy brown diamonds with a cabochon ruby in each end of the perch. It has a double pin fastener.